Cancer Causing School Supplies – What You Need To Know, AND What You Can Do! Note: This post was originally written and posted by Leah Segedie on Mamavation.com. Now that the kids are ready go back to school, it’s time to answer this question: Is it possible to get the kids back to school without toxic chemicals in their school bags? Typical school supplies and gear often contain a mix of chemicals associated with cancers, birth defects and other medical and physical troubles for children. The Problem: Toxins in Our School Products. In 2012, the Center for Health, Environment & Justice (CHEF) issued a report about the danger of back to school supplies, stating that “seventy-five percent of children’s school supplies tested in a laboratory had elevated levels of toxic phthalates.” CHEJ reports that phthalates have been linked to asthma and birth defects and can be found in everything from lunch boxes and backpacks to binders and rain gear. Another source of phthalates is PVC found in vinyl and vinyl coatings – as well as many plastics, including cling wraps. This is also a carcinogen and has been linked to breast cancer. Another toxin to avoid is plastic. BPA, which used to be frequently found in plastic products, is a known endocrine disruptor. However, according to Rodale News, the science journal Environmental Health Perspectives published a 2011 study showing that BPA-free can be just as much or even more of an endocrine disruptor than BPA plastics. In fact, the article makes a good case for the toxicity of all plastics. All of them either contain endocrine disruptors and carcinogens outright, can become toxic when mixed with products you may put inside, or leach toxic chemicals on their own. And finally, while avoiding plastic, PVC’s and other toxins may sound like common sense, another unsafe product that schools often require in their school supply lists is hand sanitizer. Many popular brands contain triclosan, which is not only being studied for its role an endocrine disruptor, according to CNN, but a recent study linked it to breast cancer. Dr. Anna Bowen, a medical epidemiologist at The Centers for Disease Control and Prevention, has stated that “triclosan-containing products don’t provide any disease protection beyond what you get from washing with soap and water.” While it certainly can be challenging for teachers to make sure their students wash their hands as much as they need, there are other options to make sure your child is safer. Hand sanitizers may also contain other toxins your child may be sensitive to such as triclocarban, alcohol, fragrances or dyes. In addition, using hand sanitizer may eliminate too much bacteria and that can aid in the rise of more resistant bacteria, exposing your child to harm. How Can Parents Protect Their Kids from Toxic School Products? Fabric snack taxies are a great idea for whole fruit, like apples or bananas, and are great for zero waste lunches. Buy enough as you’ll need to clean them frequently. Stainless steel containers are easy to use and clean for messier items like berries, grapes, cheese, etc. Look for ones with stainless still lids rather than plastic. Look for alternative wrap solutions like parchment paper or a brand like Abeego, who make reusable food wraps from beeswax, tree resin and jojoba oil. Make your own wraps with fabric and beeswax. Check out this tutorial on how to create a DIY Beeswax Cotton Wrap by My Healthy Green Family. Recyclable paper bags. This is especially useful if you or your school practices a zero waste lunch policy. Just make sure the kids don’t throw out the bag but recycle it. Fabric-made lunch bags made from organic cotton, hemp or wool. Lunch bags free from PVC, BPA, and Phthalates – like these from Pack It. Stainless steel: These are usually an investment, but they will last a long time. For younger children, make sure they can open and close the locks. These are available in a variety of options: bento boxes, bottles, small containers, lunch packs and more. Again, avoid shiny gear and seek out PVC-free solutions, such as Puddle Gear, which makes PVC-free and phthalate-free rain gear. Remember that if you are using waterproof nylon, it is neither biodegradable nor environmentally-friendly but you can recycle it for other children with proper care. Buy natural rubber rain boots. CHEJ states that many of these have “shiny” designs, so avoid those. 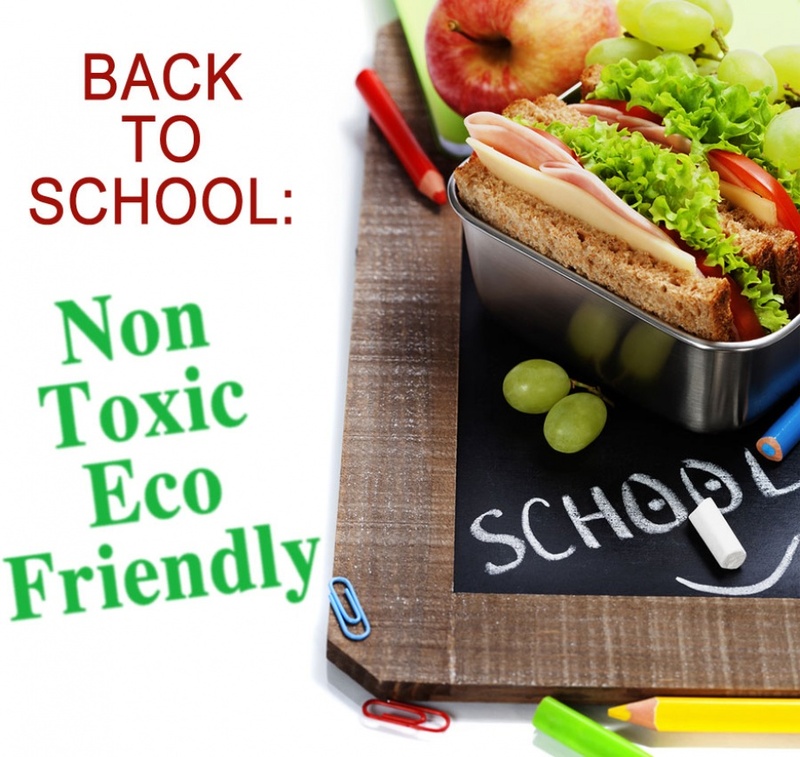 Check out the Non-Toxic Preschool Backpack Guide at Green Groovy Livin’TM. Replace with a safe brand, like Dr. Bronner’s Fair Trade & Organic Lavender Hand Sanitizing Spray. Create your own hand sanitizer with essential oils. MindBodyGreen has a simple, gentle recipe here. This may seem overwhelming, but once you start to change over school supplies, you’ll want to move more plastics out of your kitchen too! For example, we use glass containers mostly. (Many school do not allow glass containers so I didn’t recommend them above.) Need more suggestions? Read CHEJ’s Back to School Guide to PVC-Free School Supplies for a complete list of what to avoid (PDF). Going back to school clean and green takes effort and a bit of an investment, but your child’s safety at school is worth it. Disclosure: Dr. Bronners has worked with Mamavation on campaigns. Leah Segedie is the founder of the Mamavation community, ShiftCon Social Media Conference, food activist and social media consultant. Through the Mamavation community, she teaches “digital moms” healthy living practices to combat disease in their home. The community members of Mamavation have lost over 3,500 lbs. Leah is also a very passionate food activist. She organizes trending twitter parties monthly to educate the public about the food supply and other issues impacting public health. 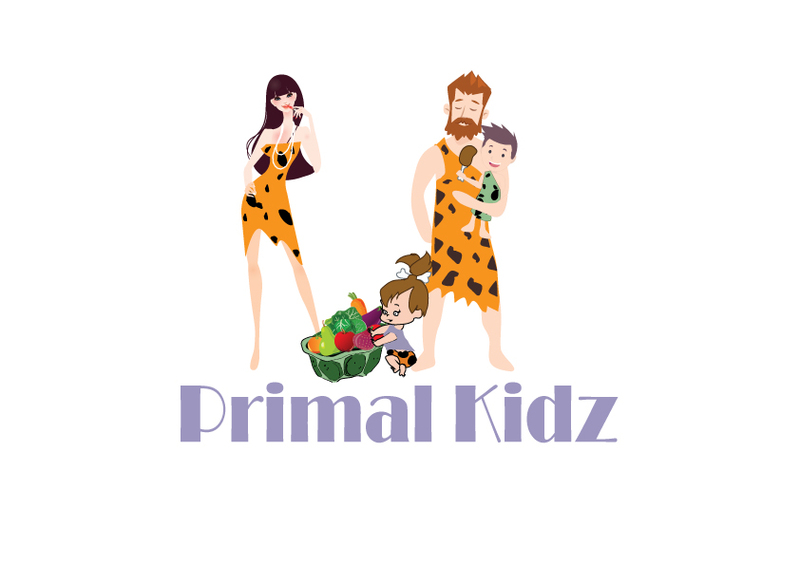 Primal Kidz also works with third party networks to bring you options when it comes to choosing the healthiest resources for your kids. You can read our here.